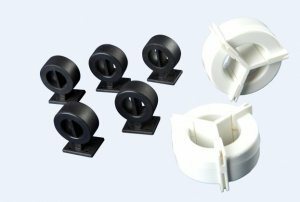 Common mode chokes (CMC) are used to suppress EMI with a wide variety of applications in electronic equipment and electromagnetic interference (EMI) in electrical network. High permeability, low loss, small size, strong anti-electromagnetic interference capability, excellent frequency characteristics, and high thermal stability. Note: Cores of other specifications can be provided upon request.